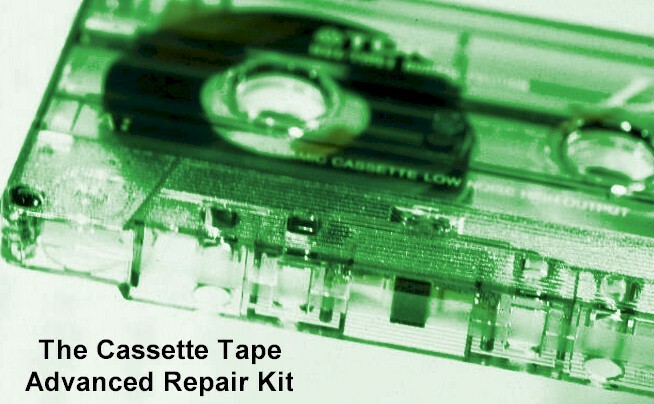 The Cassette Tape Advanced Repair Kit - Tracer Technologies Inc.
Time is not your cassette's best friend, but have no fear, with this advanced kit, you'll be able to renovate and repair your treasured cassettes as well as getting your player back in working condition. Best yet, with our tutorial DVD, you won't have to hold your breath and hope you do the right thing. It walks you through the various procedures with simple easy to follow instructions. You'll also receive a 10 day trial of our Audio Mentor software so you can bring your favorite tunes into the 21st century.